Image by Authenticated News / Getty Images, None (All Rights Reserved). Martin Doblmeier is the writer, director, and producer of the 2003 documentary Bonhoeffer, and is founder and president of Journey Films. KRISTA TIPPETT, HOST: I’m Krista Tippett. The German theologian Dietrich Bonhoeffer was executed in 1945 for conspiring to assassinate Adolf Hitler. Today, with filmmaker Martin Doblmeier, we’ll explore Bonhoeffer’s original ideas about the nature of ethics, the will of God, and Christianity without religion. Doblmeier’s documentary about Bonhoeffer airs on PBS this month. MR. MARTIN DOBLMEIER: Bonhoeffer saw the gospel at risk, and what he said is there is no way to peace along the way of safety. Peace is the great adventure. This man constantly was looking for the will of God and accepting the fact that the will of God may not lead you to self-preservation. It may call you to do things that you wouldn’t normally want to do, and that the call to follow Jesus Christ is often the downward path. MS. TIPPETT: I’m Krista Tippett. The German theologian Dietrich Bonhoeffer wrestled with religious principles in the thick of political and personal crisis. A pacifist who became a Nazi resister, he was executed for his part in a plot to assassinate Adolf Hitler. This hour we’ll explore Bonhoeffer’s religious courage and creativity. His ideas have resonated beyond his death and evolved in our time. Dietrich Bonhoeffer was born a century ago, in 1906, to an intellectual and aristocratic German family. 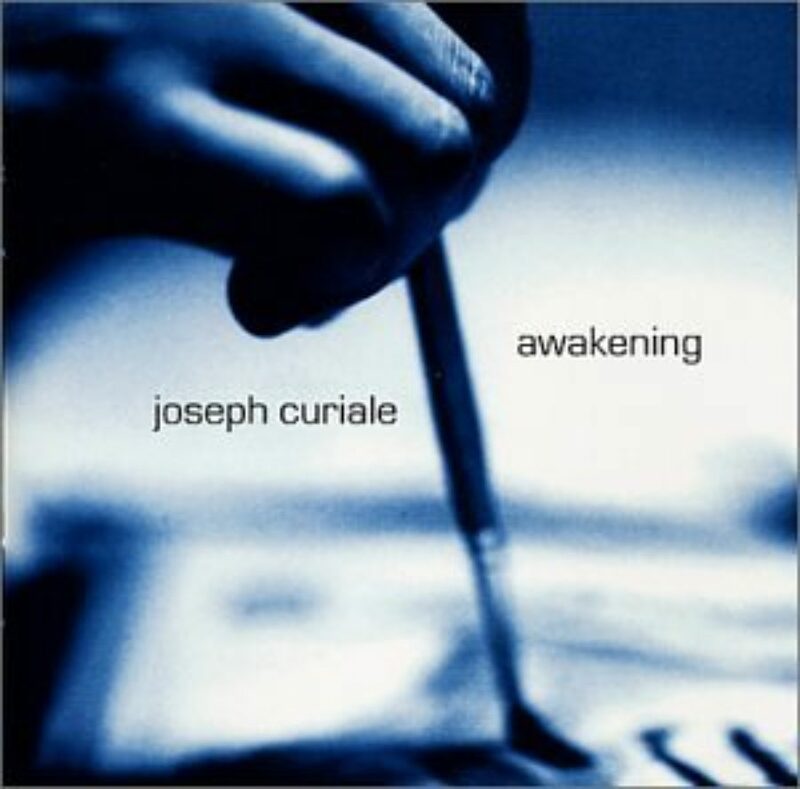 He became an acclaimed theologian as a very young man, before the rise of Fascism, writing about ethics, biblical faith and the nature of Christian community. Bonhoeffer is best known in our time through his letters and papers from prison. 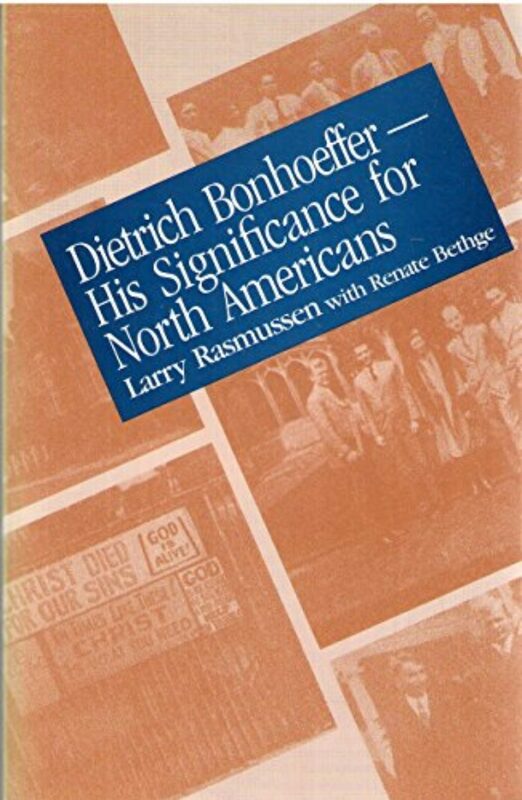 These were compiled as a book after Bonhoeffer’s execution in the waning days of Hitler’s Third Reich. It is a classic work of narrative or first-person theology, ideas about God as articulated in the crucible of human experience. When Hitler came to power in 1933, Dietrich Bonhoeffer was 27 years old. He watched the rise of Fascism in Germany, including the increasing persecution of Germany’s Jews. The complicity of German Christians compelled him to reconsider the very notions of faith and of church. He became one of the founders of what is known as the Confessing Church, the center of Protestant resistance to Fascism. For a time, he led an alternative seminary. Here are some words of Dietrich Bonhoeffer read by the German actor Klaus Maria Brandauer in the documentary film Bonhoeffer. MR. KLAUS MARIA BRANDAUER: [From Bonhoeffer] The church has three possible ways it can act against the state. First, it can ask the state if its actions are legitimate. Second, it can aid the victims of the state action. The church has the unconditional obligation to the victims of any order in society even if they do not belong to the Christian society. The third possibility is not just bandage the victims under the wheel, but to jam a spoke in the wheel itself. MS. TIPPETT: My guest, Martin Doblmeier, produced, wrote and narrates the film Bonhoeffer. It is a theological documentary tracing the evolution of Bonhoeffer’s faith as much as the events of his life. The film set attendance records at small theaters across the country and has won many awards. It has its public television premiere this month. Doblmeier interviewed students of Bonhoeffer and family members, including the late Eberhard Bethge, who was Bonhoeffer’s dearest friend and the compiler of his Letters and Papers from Prison. When I sat down with Martin Doblmeier, I wanted to know why he chose to do a film on this German theologian and how creating this project had affected him. MR. DOBLMEIER: Well, I was introduced to Bonhoeffer back in high school. My high school religion teacher walked in one day and held up a copy of Letters and Papers from Prison and said, “We’re going to study theology, and this is where we begin.” And I took the book home, and I fell in love with the book. And I took it to the baseball field; I read it in the dugout. I couldn’t put it down. I read it again and again, and within a couple of weeks, I was offering myself to go to social justice programs, to get involved in soup kitchens that the school was doing, and I think, in part, it’s part of the reason why I decided that I wanted to study religion when I went to the university. MS. TIPPETT: So, you know, you were in high school. There are lots of really complex theological themes in that book, but it sounds like the message that you really got was action. MR. DOBLMEIER: It was both action, but also, I think, what I fell in love with was as I was reading the book, we knew, as the backdrop, that he would eventually die and pay the price with his life for what was happening. And yet, at the same time, no matter how much theology you had as your own background, you could read into the text of those letters a man who was at peace with himself, who was still thinking about the church in the wider perspective, and thinking and caring about others. Often his letters were personal to his family and to Maria von Wedemeyer, his fiancée, and this was a man who was thinking less about himself and more about others. MS. TIPPETT: And then did you read him much over the years after that original — or did you think about him over the years? MS. TIPPETT: It’s a work about community. MR. DOBLMEIER: Yeah, what a wonderful assemblage of thoughts that really came out of a very practical experience of bringing a group of people together and trying to build a seminary, a sort of a sacred lifestyle together. MS. TIPPETT: Again, Martin Doblmeier. MR. DOBLMEIER: I think I was probably, as I look back at it now, attracted to his vigor, his enthusiasm, in some ways, his naïveté about the world. I mean, there’s a certain vulnerability about the way that Bonhoeffer comes at the world, and I think that that, in its own way, is really remarkable. And there’s all kinds of speculations of who he would have become had he been able to live a full life and been able to write and gone through all the transitions that other theologians could have gone through, maybe become more jaded by the realities of the world. 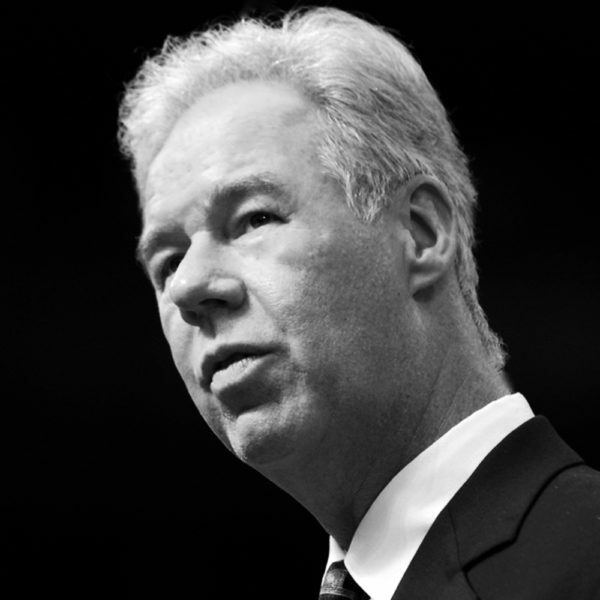 But, effectively, he stops writing at 38, and this is a very young man who continues to be enthusiastic and optimistic about the potential for church in the world and to see the presence of God in the world, and I think that still is what, two generations later, is still resonating with people. MS. TIPPETT: I want to come back to also some of these tensions that are at the heart of his legacy and the things he was holding together and also, really, you know, draw you out in terms of how you sort of lived through that with him as you created the film. 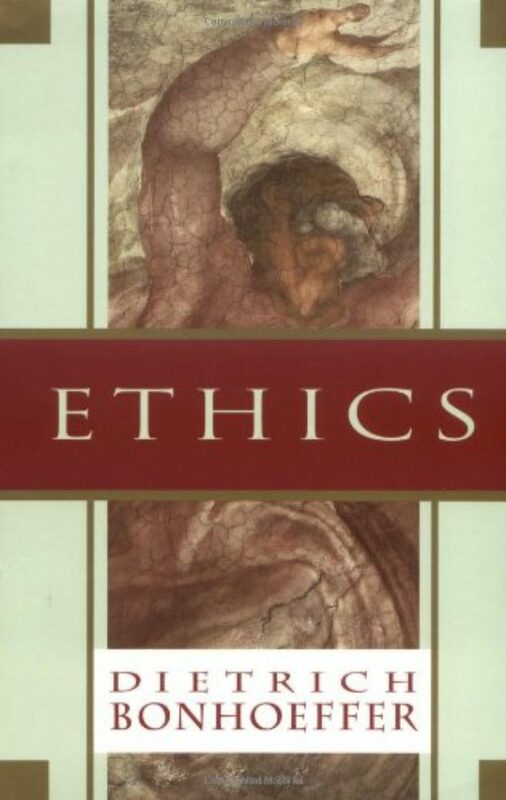 And there’s this other paradox that he’s writing his opus on ethics, which I guess he didn’t finish. Right? But it was such an important project. He’s writing this book on ethics, Christian ethics, at the same time that he is implicated in a plot to assassinate Hitler. MR. DOBLMEIER: And he’s not only implicated in the plot, he’s having to lie to stay alive. He’s having to act and do things that he doesn’t want to be doing. He’s signing letters that are trying to, you know, be part of his official documentation, “Heil Hitler.” This has to be disturbing for him. And then at the same time he would go back home to his room at night and continue in different chapters of Ethics about how we’re supposed to live in the world. And I think that’s what makes Ethics so compelling is that he has to live this duplicitous lifestyle just to survive, and yet, at the same time, he’s really trying to come to grips with, A, what is it doing to him, and what kind of a legacy is it going to be for the rest of the world? MS. TIPPETT: Filmmaker Martin Doblmeier. MR. BRANDAUER: [From Bonhoeffer] The will of God is not a system of rules established from the outset. It is something new and different in each different situation in life. And for this reason a man must forever re-examine what the will of God may be. The will of God may lie deeply concealed beneath a great number of possibilities. MS. TIPPETT: Klaus Maria Brandauer as the voice of the German theologian Dietrich Bonhoeffer in the documentary film made by my guest this hour, Martin Doblmeier. In Hitler’s Germany, prominent church leaders capitulated to Nazi ideology and threats. They formed an official Church of the Reich that Bonhoeffer considered to be divorced from the will of God. For two years, he ran an underground seminary at Finkenwalde to train leaders of the anti-Nazi Confessing Church. The community was closed by the Gestapo in 1937. Bonhoeffer came to believe that ultimately Christian ethics could not be dictated by the church. They had to be worked out through human relationship. MR. DOBLMEIER: I really do believe that fundamentally this was a man who, in the midst of incredible suffering and pain and anger that was going on around him, never stopped looking for the will of God, and this is what I really most admired about him. I mean, this was — he didn’t turn at a point and say, “I have to take care of myself. I have to do what I have to do to sort of get through this and get by this,” and accepting the fact that the will of God may not lead you to self-preservation, it may call you to do things that you wouldn’t normally want to do, and that the call to follow Jesus Christ is often the downward path. And I think he saw that clearly as this might be the way this is going to go. But I think he never stopped that constantly opening himself to the will of God. That’s what I really admired about him. MR. DOBLMEIER: Or to rethink his own paradigm. I mean, I think that’s the great mystery of God. God is always calling us to rethink our own paradigm. Just at the moment we think we’ve got the formula kind of figured out, it’s the God that’s the mysterious God that comes to us to say, “This may not be the way you had quite figured it out.” And I think that Bonhoeffer was open to that at all times. I think he was a prayerful man — he searched the scriptures for direction in his life, and I think when he felt as though this is what he had to do — the term that Eberhard Bethge used was that Dietrich took over the guilt of killing and being part of the plots to kill Adolf Hitler. MS. TIPPETT: As an ethical move, in a way. MR. DOBLMEIER: I think as a move for the other. I think, fundamentally, what Bonhoeffer did was accept that fact that it was the German people of the 1930s who allowed this to happen; maybe in some ways that Bonhoeffer hadn’t been diligent enough in his resistance at that time, but that this man and the principles of Nazi socialism and National Socialism had taken on so much pain in the world, had inflicted such suffering that something had to be done to stop this. There are times when I really admire Bonhoeffer for the way that he approached this. Sometimes I feel like other people do, well, maybe I would look at him differently if he had sort of stuck to these pacifist kind of principles. But I wasn’t living in that kind of situation. I wasn’t the person who was seeing around me all the suffering that was happening and all the pain and the killing that was happening. I think he did it because he really felt as though it was the only resource that he had to try and make retribution for all that had happened. MR. DOBLMEIER: The lines that come back to me again and again were those lines that he delivered in Fanö, Denmark, in 1934, when he was told, “Speak sort of generally about the role of the church in Germany,” and he elected not to. And he stood up and he made a clear call, a challenge to stand up for peace to the churches, the collective body of churches that had come to Fano. And what he said is, “There is no way to peace along the way of safety. Peace is the great adventure. It has to be dared.” And there is an enormous risk at standing for peace, but however you think of politics, and the choice that we’ve made is oftentimes, as a nation, as individuals, to take the road to security. And I think the language of Bonhoeffer is to say that there is no way to peace along the way to security. MS. TIPPETT: Documentary filmmaker Martin Doblmeier. I’m Krista Tippett, and this is Speaking of Faith from American Public Media. Today, “Ethics and the Will of God.” We’re exploring the legacy of Dietrich Bonhoeffer, the 20th-century German theologian who was executed in a Nazi prison for conspiring to assassinate Adolf Hitler. Dietrich Bonhoeffer was deeply influenced by the great Swiss theologian Karl Barth. Barth had observed that each warring nation in World War I Europe had claimed God for itself, turning the one God into a tribal God, and that this was a catastrophe for Christianity. As the Second World War approached, Bonhoeffer saw German nationalism as tribal religion preached by Adolf Hitler. He spent the years before and after the Nazi ascension in Germany and outside Germany searching for authentic and equally persuasive models of religious life. He befriended and learned from a great French pacifist and a British ecumenical leader. He even went to India to study nonviolence with Mahatma Gandhi. In a year Bonhoeffer spent at the Union Theological Seminary in New York City in the early 1930s, he was little impressed with famous theologians in residence, but he was captivated by African-American Christians, by their passion for social action supported by vibrant worship. Bonhoeffer wrote home in particular about the preaching and the singing at the Abyssinian Baptist Church in Harlem. MR. BRANDAUER: [From Bonhoeffer] I have had the chance to hear the gospels preached in black churches. Here one can truly speak and hear about sin and grace and the love of God if in forms we are not used to. In contrast to the often didactic style of white preaching, the Black Christ is preached with rapturous passion and vision. MS. TIPPETT: Now back to my conversation with documentary filmmaker Martin Doblmeier. MS. TIPPETT: We’ve all seen footage of Hitler screaming, you know, this growling voice that he had, but the footage in the film is where he is actually praying, like he’s screaming a prayer, and he’s actually preaching on biblical texts, like Romans 13, which justifies the church, and you hear him saying things like — oh, what is it? MS. TIPPETT: “I’m preaching the resurrection of the German people.” And there is tremendous passion in that, and you can see — you know, often these films of Hitler giving these addresses, it just seems inexplicable, you don’t get it. You don’t get what these people heard or saw in him. But here, because he’s using this explicit religious language, you see the explicit religious response. And it seems to me that what Bonhoeffer found in the black church was not just a church that could talk about social change but that could also draw on that deep passion, religious passion. MR. DOBLMEIER: I think Adolf Hitler was a master at using religious imagery and religious symbolism as part of the rise of his popularity in Germany. He got the power of that, and not only did he get the power, but he did it in such a way that he was able to bring in the religious components of the country. They not only allowed this to happen, allowed him to become the divine symbol of the nation, but they endorsed it. They would come en masse to his political gatherings, and so they were quite comfortable with allowing him to take over their role of church in the world. The nation became confused as to what the role of church and what the role of the state was, the two had become so interlocked through Adolf Hitler. 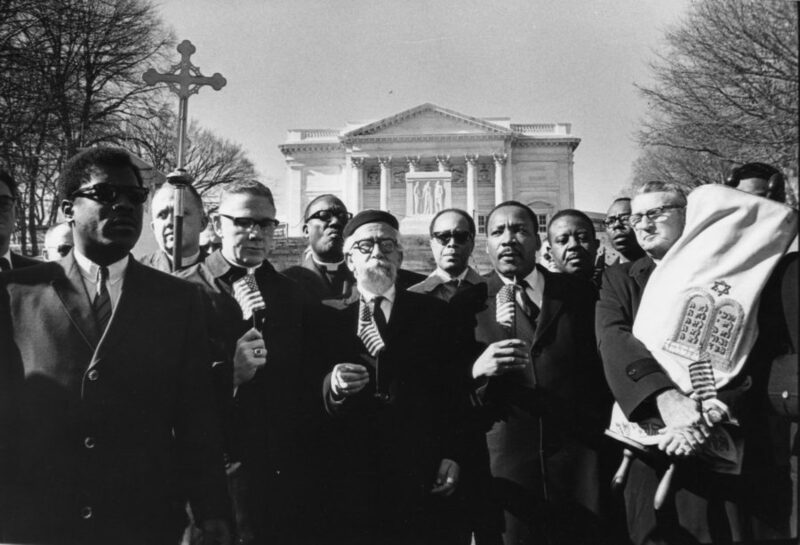 The churches preached from the pulpit theology that was politicized. The pastors had become members of the party. But this was intentional on the part of the National Socialists. They understood exactly the power of religious imagery and religious symbolism. And I think Bonhoeffer, to his credit, becomes one of the first people to say no. Bonhoeffer saw the Gospel at risk, and he understood what was really happening here. And he was only in his 20s when he did that, and he spoke out against it. He spoke out very clearly against it, despite the fact that the documentation all indicates that he was rebuffed for having done that. 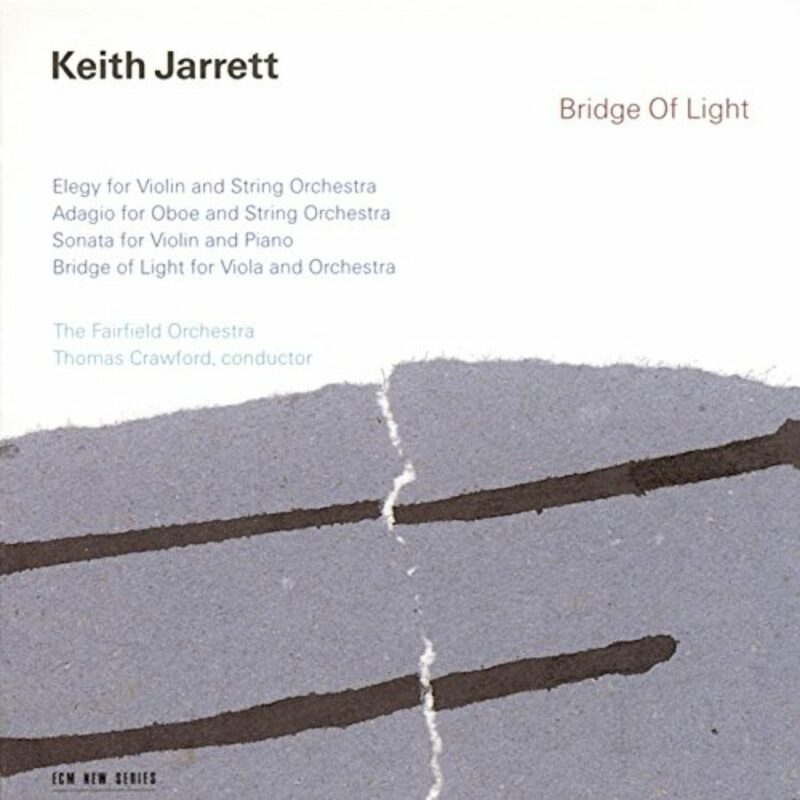 MS. TIPPETT: And what comes to me again is this notion of Karl Barth’s about how religion had become tribal. Something like that I don’t think would happen in our world today. It’s not about nation states. But when I think about how increasingly we’re sort of dividing up the world in our analysis between the Arab world, which is code for the Muslim world. Right? And “the West,” which, while every person in the West is not Christian, is dominated by Christian — you know, that’s the primary faith or the majority faith and the faith that has most influenced our popular culture. I don’t know. I wonder how getting into this story and these ideas made you — informed the way you’ve been looking at how our world is changing and the role religion is playing in that. MR. DOBLMEIER: Well, I think I thought less in terms of the divide between Islam and Christianity in the world, and I thought more in terms of the fact that, whether it’s in the 1930s or in our own time, how no nation wants to go to war without the conviction that God is on their side. And it becomes almost a critical component to bringing together the people of a nation to say that this is the will of God, and that it becomes the role of the churches then to say, “Wait, let’s think about this before we go off and do this. Or at least if you’re going to do this, don’t assume that this is God’s will.” And I think this has been something that’s come to me more and more over these last couple of months as we’ve gone from church to church to church to show the film. I think people have become stunned and aware first of what was happening in Nazi Germany and then, in some ways, stunned by the similar rhetoric that they’ve been hearing over the last couple of years about God blessing our endeavors, God being on our side. MS. TIPPETT: That’s a pretty strong analogy. MR. DOBLMEIER: But it’s no different than has happened all throughout the course of history because each nation wants to believe that God is on their side and what they’re doing is right. It doesn’t mean that their actions aren’t right. But it seems as though we have very little conversation about God in the secular world in this country until God is needed to come along and support what it is that we’re involved in doing. 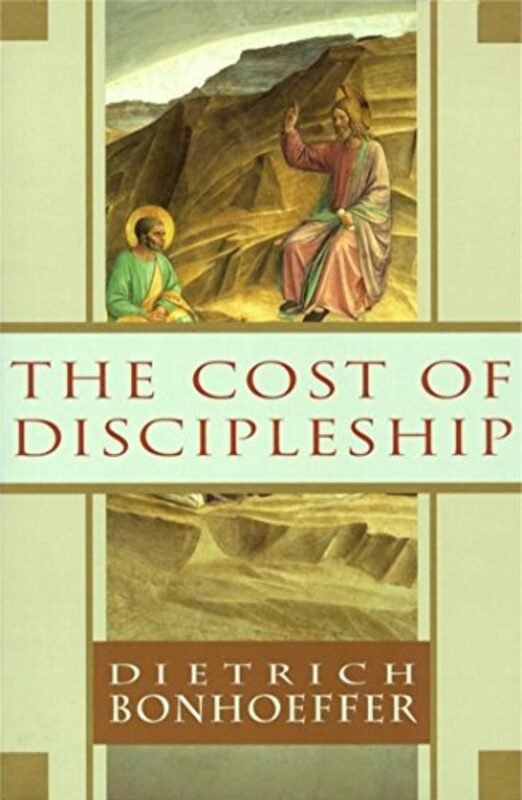 MS. TIPPETT: And again, if the criterion is the one that Bonhoeffer used, that God must be at the center. Right? I mean, we use God in support of — sort of in the wings, and that is a different move. That is not the move he modeled. It’s a very exacting distinction, too. MR. DOBLMEIER: Yeah. I think for him God was at the center. I think too often in the secular world we find ourselves at the center. When we find ourselves in trouble, we call for God to help sort of recenter us. But for many people it’s temporary. And I think the real cry that Bonhoeffer offers us is to sort of not make that a crisis theology but to make it part of your daily life, to sort of be always open and in a prayerful way to the call of God, to how God could be working in your life, and not simply wait until the crisis happens that forces you to go and look for that center again. This is Speaking of Faith. After a short break, more of our conversation about Dietrich Bonhoeffer’s life and ideas. We’ll explore his novel concept of religionless Christianity and how, perhaps theologically, Bonhoeffer’s execution was not a defeat. This exploration continues at speakingoffaith.org. Browse a photo exhibit of Bonhoeffer’s life, and use the Particulars section as a guide. You can download this show to your desktop or subscribe to our free weekly podcast and listen on demand at anytime, any place. While exploring, read my journal on this week’s topic and sign up for our free e-mail newsletter. All this and more at speakingoffaith.org. MS. TIPPETT: Welcome back to Speaking of Faith, public radio’s conversation about religion, meaning, ethics and ideas. I’m Krista Tippett. Today, “Ethics and the Will of God,” the legacy of the German theologian Dietrich Bonhoeffer. 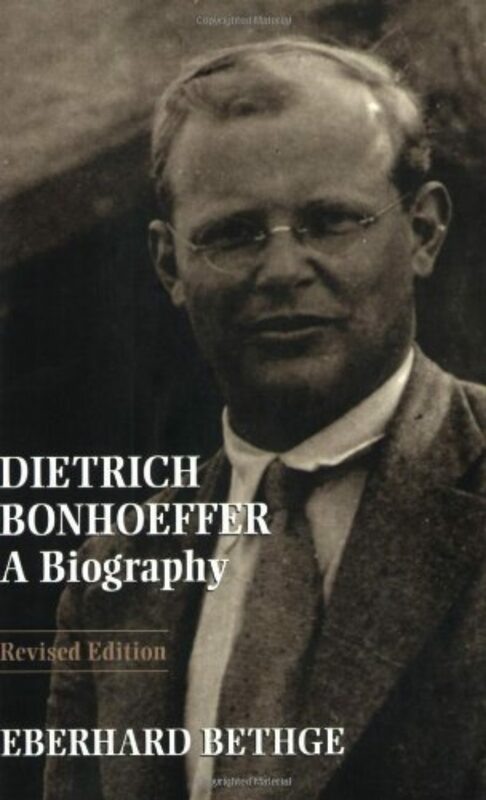 Bonhoeffer is widely considered one of the great models of religious courage and creativity in the 20th century. A pacifist who became a Nazi resister, he was executed in a Nazi prison for his part in a failed conspiracy to assassinate Adolf Hitler. I’m in conversation this hour with Martin Doblmeier. His documentary about Bonhoeffer is appearing on PBS this month in commemoration of the hundredth anniversary of the theologian’s birth. Doblmeier is sharing some of the insights he gained from modern life as he steeped himself in Bonhoeffer’s life and thought. For example, from prison Bonhoeffer wrote that Christianity, if it were to survive, would become ever more religionless. Here are some notes from Bonhoeffer’s Letters and Papers from Prison, which were collected and published after his death. READER: Letter to Eberhard Bethge, April 30th, 1944. MR. DOBLMEIER: I think the distinction for Bonhoeffer is he’s not calling for faithless Christianity. He’s calling for religionless Christianity. A lot of it’s reactionary. He begins to write this material in fragment forms in Letters and Papers. It’s one of the great unfinished thoughts of Dietrich Bonhoeffer. I think fundamentally what he was getting at has come true, which is to say that back in the 1930s and ’40s, you were able to use religious language, and there was a common understanding among people as to what things like salvation and grace and sacrament meant. You could just say those without having to go in and define everything. And yet, I think what he was getting to, there’s going to come a time when you can’t even make those kind of presumptions, that the world will become so secularized we’re going to have to find new language in which to speak about God and faith and salvation. And I think that’s absolutely become the case. He’s writing his reaction to two principal things. Number one, his time in prison he spent apparently with a lot of people who had no religious context whatsoever. This was a little bit different in the world for him. I mean, he spent most of his time speaking with people and dialoguing with people who had religion as a common denominator, so the language was all kind of the same for them. Now, when he gets to prison, he finds people that he can’t–the starting place is totally different, and I think this is part of what’s shaping him. And I think the second thing is, too, he had become so deeply disappointed by the action of the church, the institutional churches, because the line there, he says, “Even people who call themselves religious don’t even act religious anymore. Where is the new starting point for all of this?” But I think the starting point for him is faith. It’s not about religion. It’s not about the formalization and the acting out of what you believe in ritual and rite and institutions. It’s about the fundamental question as to whether or not you believe that God is calling you to act in a certain way in the world. I don’t think he ever lost faith in that. I think his perception of religion was constantly being challenged, “What shall we do here? How shall we think of ourselves? Why do the churches continue to break up and fragment and fight each other?” I think he became very deeply disappointed by all of this. But I think the question of God in the world, living in him and the people that he saw in — and the suffering — the face of the suffering Christ in the world — that never left him. MS. TIPPETT: Here’s a passage that speaks to some of this: “Reconciliation and redemption, regeneration in the Holy Spirit, love of our enemies, cross and resurrection, life in Christ and Christian discipleship — all these things are so difficult and so remote that we hardly venture to speak of them. In the traditional acts and words, we suspect that there may be something quite new and revolutionary, though we cannot as yet grasp or express it. That is our own fault. Our church, which has been fighting in these years only for its self-preservation, as though that were an end in itself, is incapable of taking the word of reconciliation and redemption to mankind and the world.” That’s pretty strong stuff. 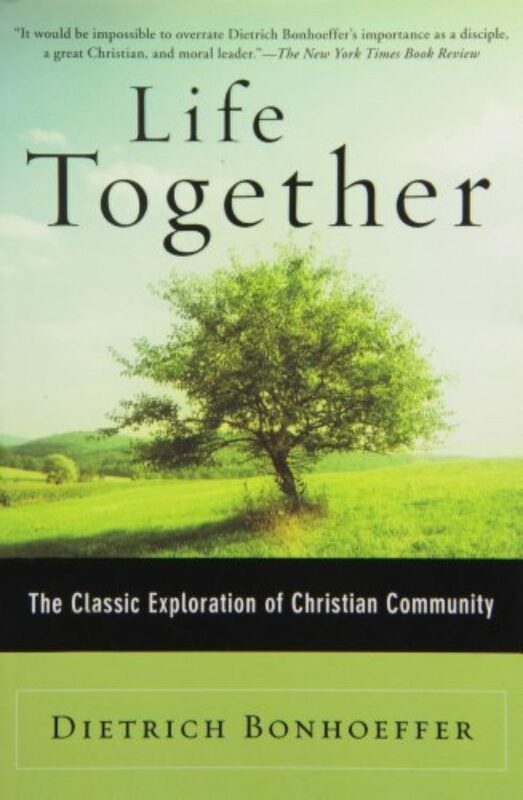 MR. DOBLMEIER: I think, though, at the core of it is the realization that to live for Christ is to live for others, that the church, even as a group, as a collective body, will live, can live for themselves, that they make their preoccupation sustaining themselves, sustaining their order, sustaining their position in the world. I mean, he comes from a world where the pastor is in a privileged position. That’s another thing that’s changed, too. You talk about religionless Christianity. I would have to say that going back several generations, the pastor or the priest in the town was the sacred one and lived in a very special position in that little community or town. I’m not sure if it’s identical today, especially in this country. I think the pastor is always struggling for, you know, how to put relevance to things in people’s lives, but doesn’t really hold the same kind of position that he would have. I think our world has become so secularized, and it’s a different world two generations later since Bonhoeffer’s. MS. TIPPETT: I want to talk about something that is deeply troubling in the story of Bonhoeffer, and it came at me full force again in watching your film, which is these good, noble Germans, like Bonhoeffer and his friends and family, who are risking their lives to assassinate Hitler, and there is one failed attempt after the other. I mean, you know, objectively speaking, you could look at this story and say God was on Hitler’s side, and you tell the story — there’s the bomb that was on the airplane that just failed to detonate. Right? And then — and I have to describe this because people listening on radio won’t be able to see this — I thought one of the most powerful moments in the film is where you show the family portrait — was it the 80th birthday of Bonhoeffer’s father? — and there are several family members in that portrait, including Dietrich Bonhoeffer, who are implicated in the plot to assassinate Hitler and, as that portrait is being taken, are waiting for word of whether the latest plot has succeeded. And you zero the camera in on their faces, and you see what they’re living, the seriousness of these men. I don’t know. It’s very puzzling, because, you know, it could almost make you lose faith. They didn’t win. The good guys did not win. MR. DOBLMEIER: But I think the call isn’t really the call to win. I think the call is to be faithful. And that’s the fundamental difference. I don’t think for Bonhoeffer it was about winning. I think for him it was about being faithful. And I think the angst that you see on his face, if I can read into it, has to do with the fact that they weren’t even really sure if they did succeed how the world would remember this act. We presume now from 50 years later this was a wonderful magnanimous gesture to kill the tyrant, but in their own country, Dietrich Bonhoeffer’s not been held in high regard for years, thought by many to be a traitor, and that how would history remember them? And I think they believed at that time that it would not remember them that well, especially within Germany, that there was such a strong sense of “We have to work together as a nation, this is our leader.” This is the way you would think. The assassination of a leader of the country was an absolutely immoral act for many people, and Bonhoeffer could never be considered to be a holy man for having done that. But I think they believed in their hearts this was the only thing they had to do. And if you look — first of all, they were — I think Bonhoeffer’s a brilliant theologian. Collectively, the evidence shows they weren’t very good assassins. They just didn’t have this figured out very well at all. But at the same time, this was — what they felt as though they had to do this. There was no other response that they could make to this. And you can see that struggling on their face. Bonhoeffer had just before that photograph was taken — a couple of months actually before the photograph was taken — wrote this wonderful letter called “After 10 Years,” and it was his Christmas reflection on what life had been like for them under Adolf Hitler for 10 years. And, in particular, he wrote it to the co-conspirators who had become demoralized. The war was going on. People were dying every day all around them. And they were being pursued. They knew they were being tracked, their phones were tapped, and how long they could go on if they didn’t succeed was in — you know, in the front of their mind. But really, Bonhoeffer, you know, he admits all the things that they, as conspirators to all of this, have done. They’ve been witnesses to evil deeds. They’ve become suspicious of others. Their lives have become totally duplicitous. And he ends it by saying, “Are we still of any use?” This is barely the kind of language that a holy man would ever write, “Are we still of any use?” But I think, fundamentally, what was at his heart was the belief that this was the lot that was chosen for them. This man wanted to be an academia. He wanted to be teaching in a university, not part of a plot to kill Hitler. And he knew this would probably not go well, that in the end, how could they overcome the tide that they were trying to resist? But at the same time, this is all they had left. They had to go and do this and pray their way through all of this. MS. TIPPETT: But still, I want to ask you, he was motivated by what he perceived to be the will of God, and how do you think about the will of God through getting inside this story? MR. DOBLMEIER: I think anybody who honestly and prayerfully looks for the will of God and expects that to be revealed and justified by things in this world is probably not truly open to what God is all about. The expectation that revelation would happen constantly and that you would be constantly affirmed that you’re on the right track is to deny the mystery of God. This is not only about you take a step in faith and you’re rewarded for that. You take another step. That’s really, I think, in some ways — a child would take a step and then expect to be rewarded. I think someone like Bonhoeffer knew that he had to open himself to the will of God. If he really, really believed that God was really calling him to do this, I don’t think that he needed to have the affirmation here and now that he was on the right track. MR. BRANDAUER: [From Bonhoeffer] We have been silent witnesses of evil deeds. We have been drenched by many storms. We have learned the art of pretense. Experience has made us suspicious of others and kept us from being truthful and open. Are we still of any use? MS. TIPPETT: Klaus Maria Brandauer is the voice of the German theologian and Nazi resister Dietrich Bonhoeffer. I’m Krista Tippett, and this is Speaking of Faith from American Public Media. Today we’re exploring the religious ideas and legacy of Bonhoeffer as explored in a documentary film by my guest this hour. There was an extreme warmth and humanity in the way Bonhoeffer developed his theology and the way he lived his life. Through his books and especially through the revealing Letters and Papers from Prison, compiled after his death, Bonhoeffer’s ideas have resonated beyond his death and evolved in our time. As Martin Doblmeier created his documentary about Bonhoeffer, he interviewed a number of modern leaders, including former Archbishop Desmond Tutu of South Africa. Tutu was inspired by Bonhoeffer’s example as he worked at great personal risk to end apartheid in South Africa. MS. TIPPETT: Here again is Martin Doblmeier. MR. DOBLMEIER: There’s no question that Desmond Tutu really saw Dietrich Bonhoeffer as a model for him. The churches in South Africa found themselves in a situation not all that different than what was happening in Nazi Germany, an unfair and unjust persecution of certain peoples that had to be spoken against, but you had to speak about it not only politically, but you had to speak about it morally. And Tutu’s language is such extraordinary language. He speaks as a poet, but he has a sense about him of mission and conviction. MS. TIPPETT: You know, it just occurred to me perhaps the critical difference with Tutu and Bonhoeffer is that, in the end, Tutu and South Africa had the weight of the church behind him, the weight of a community motivated by God. Right? And Bonhoeffer never, never had that in Germany. MR. DOBLMEIER: I think that if you look at Bonhoeffer’s early writings, “Sanctorum Communio,” and the faith that he puts in the body of Christ existing as community in the church, and then to connect that with what would start happening in the 1930s, where the church would begin to split, that there would be a small fragment known as the Confessing Church that would stand up against National Socialism, but the bulk of the churches stood behind the national agenda of Adolf Hitler, and this absolutely split Bonhoeffer. I mean, he writes this line that says, “When the church is split, is Christ himself divided?” And I think that’s a real powerful and a metaphoric statement for understanding that this was not the vision that Bonhoeffer had for church going forward in the ’30s. His hope was that the churches would begin finally to come together in a collective body to honor God and to change the world. But when he split from the mainline church because of what he saw was the support of National Socialism and became part of the Confessing Church, it was only three or four or five years later that even the Confessing Church he felt had become — placated the National Socialist agenda. It didn’t speak out against Kristallnacht. And when the oath of allegiance was demanded of all the pastors, many of the pastors in the Confessing Church even took the oath of allegiance to the Führer. And Bonhoeffer didn’t do that. And so he found himself even more and more and more isolated. This is a man, I think, who had only the power of his own convictions and the belief that God was standing with him. He certainly did not have any institutional structures. In fact, he had all the institutions — the state and the churches and everything — working against him. MS. TIPPETT: And — you know, and I think it’s also important that you did include in your examination of his life moments when he felt that he had failed, when he, in fact, had not lived up to his deepest convictions. He did not preach at the — was it the funeral of the father of his Jewish brother-in-law and regretted that deeply. MR. DOBLMEIER: Bonhoeffer tried to always understand the way that the world was working and yet, at the same time, understanding how the call of God to work in it was leading him in his faith. Bonhoeffer’s path is not a straight one. There were times, I think, when he acted in ways that he himself was later disappointed in. I think one of the great examples was when he was invited to speak at his sister’s husband’s father’s funeral. His father-in-law was Jewish, and the church leaders came to him and said, “I really don’t think you should do this.” It was 1933, and the boycott had already happened in April, and he elected not to do it. And he later deeply regretted this. He uses language, “You know, I don’t know what happened to myself when I actually did this,” and he wrote this to his brother-in-law. MS. TIPPETT: It was the last boat before America entered the war. MR. DOBLMEIER: And then he gets the last boat coming back from the United States to Germany, which is almost as if the script is being written for his life when you think about it. It was our intention to show Bonhoeffer not as someone–it was not to be a hagiography. It was to understand this was a human being who went through stages of his life when he made decisions that he was proud of and decisions that he was not so proud of, but he kept going and kept opening himself constantly to the will of God. MS. TIPPETT: OK. So I may be taking liberties here, but something I’ve always been fascinated by also, that if I had any criticism of the film is that this got short shrift, which was his love affair. He was quite a serious, studious person. Right? It’s no accident. I mean, he was young, yes, but he was a really, really serious guy, and heady. And he falls in love and decides to get married, you know, quite unexpectedly, right before he goes to prison. MR. DOBLMEIER: I think that he was a romantic at heart. I mean, he would write in the letters — here he is in prison knowing what’s going to happen to him, and he writes about the flowers in the garden. He’s writing about music that he remembers over the holidays and that he’s thinking about. Again, he’s looking forward to Easter. He’s not sure where it’s going to be, but he’s looking forward to that time. This was a romantic. And the very first letter that he writes out of prison is to his parents, and he says, “I’m most concerned about Maria. She’s lost her father, and she’s lost her brother in the war, and now me, her fiancé, is now in prison. This must be terribly, terribly difficult for her.” I think Bonhoeffer, having that combination of the lived experience of his theology, in his church and his thinking, and then also being in a new love relationship and sort of trying to bring this to someplace different, adds a whole new dimension to Letters and Papers, because he’s writing out of this love. I mean, he’s not — he’s alone in the cell, but he’s not alone in his heart. I mean, he’s feeling a connectedness to his family and to friends. He’s still deeply in love with Maria, and for most of the letters, he’s still seeing her. She’s coming to visit him. It’s not till later that she’s forbidden to go and visit him. MS. TIPPETT: OK. So here’s something else that was so wonderful for me in the film. The last words in the film are from this part of the Letters and Papers from Prison, where he talks about what he’s decided is that throwing yourself into the world, completely into the world, in doing that, you throw yourself into the arms of God. And there’s a part in the film before that where Maria, his fiancée’s sister, who’s still alive, is talking about this moment where she visited him in prison, and it was very controlled. Right? But at the very last moment before she left, she raced away from the guards and threw herself into his arms. And that’s the image that I saw in those words of his when I heard them at the end of your film. I think the point for me that feels important is that even this he incorporated into theology. Right? Every experience, every human experience, became a moment to learn something new about God and something new even about what it meant to be Christian in the world. MR. DOBLMEIER: The day after the plot fails, you know, it’s all over the radio and the news, and I can — although there’s no documentation of it — I can just sort of imagine all the German soldiers in the prison with the radio on, “The Führer has survived! The Führer has survived!” There was a question about — the explosion happened, but “no one can kill the Führer” kind of thing that must have been blasted on the radio on that day, July 20th, when the final assassination attempt happened. And so he would have probably known right then that this was about over. And then the very next day he writes this extraordinary letter to his friend Eberhard to say that, “It’s only by living in this world that you learn to have faith.” But what he also ends it with is he talks about recognizing, seeing not your own suffering but the suffering of Christ in the world. And this is a man who knows that his own ultimate suffering is just around the corner. He had to know that. And yet, at the same time, he’s not thinking about himself. He’s calling others. I mean, he knows this letter is going to be part of the historic documents for him. He’s thinking not about himself. He’s thinking about, again and again, looking for the suffering of Christ in this world, and that’s the source of his faith. MS. TIPPETT: Also, in giving his life, in the end, he did follow the example of Christ in the most literal way. MR. DOBLMEIER: In the end, he was a pacifist, when you think about it. He surrendered himself totally to the court-martial that happened the night before his hanging. He was stripped, embarrassed in front of everyone around him, stripped naked, walked off and hung. His lot at the end of his life was not much different than Christ. He had given himself to do what he felt as though he had to do. And I think he was fundamentally at peace with what had happened to him. The story’s about the last journey in the bus with the last few prisoners that were taken down to Flossenburg, and they said that fundamentally Bonhoeffer was a man at peace. That’s the greatest justification for his life of all. I think in the end, had he succeeded, I’m not sure if he would have felt as much personal victory as I, who look at him now 50 years later, see that a man who’s on his way to die is at peace, believing that, no matter how the twists of his life had gone, that he had done what God had called him to do. 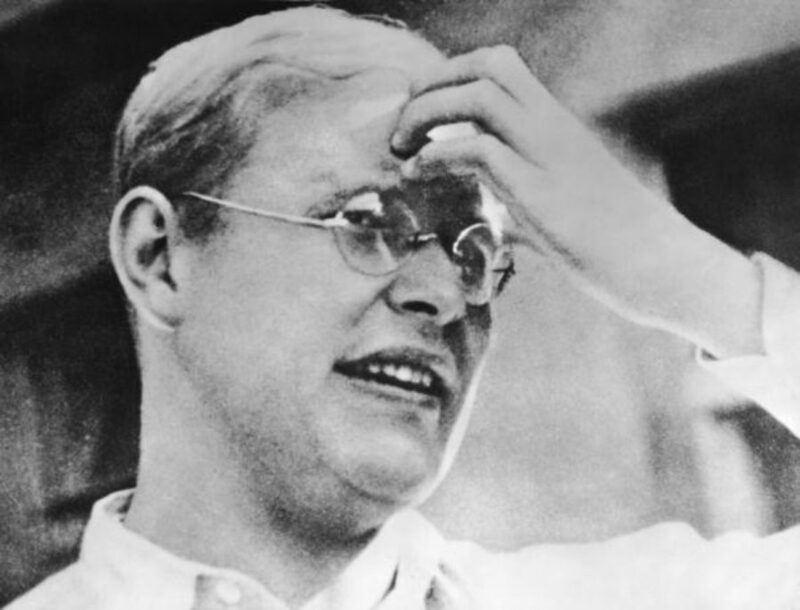 Dietrich Bonhoeffer was executed at Flossenburg Prison on April 9th, 1945, just three weeks before Hitler committed suicide in his bunker as the allies closed in to liberate Berlin. During the years of Bonhoeffer’s struggle, six million European Jews were killed in the Nazi death camps, along with millions of others. Here is the passage from Letters and Papers from Prison which ends Martin Doblmeier’s documentary. It is read by Bonhoeffer’s best friend and posthumous editor, Eberhard Bethge. MS. TIPPETT: Eberhard Bethge died shortly after he shared this story with Martin Doblmeier. Doblmeier is the president and founder of Journey Films. He produced, wrote, directed and narrated the award-winning film Bonhoeffer. Bonhoeffer airs on public television for the first time this month. Continue the conversation at speakingoffaith.org. 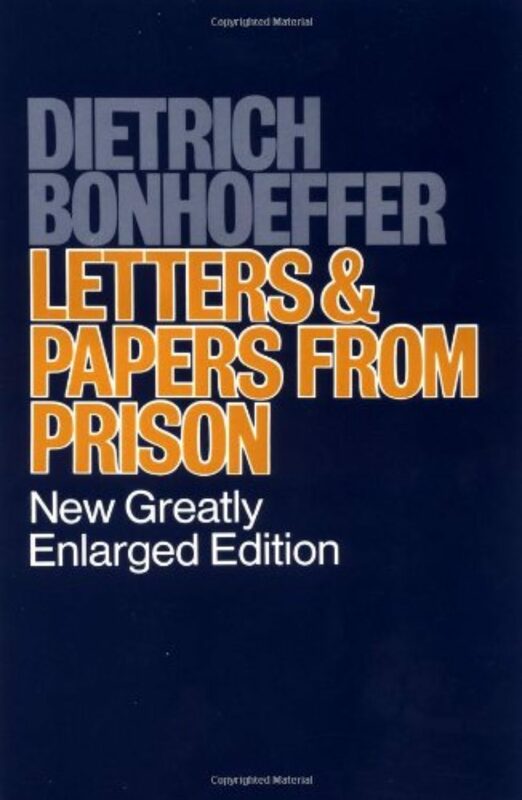 Contact us with your thoughts and read selected letters from Bonhoeffer’s correspondence while in prison. Listen on demand for no charge to this and previous programs in the Archive section, and subscribe to our free weekly podcast. Now you can listen whenever and wherever you want. You can also register for our e-mail newsletter, which includes my journal on each topic and a preview of upcoming shows. That’s speakingoffaith.org.